This versatile DuraVent Dura Liner Round Tee with a Removable Branch gives you a connection between the masonry thimble through the wall or the connector stove pipe to the chimney liner. This DuraVent tee is available in both six inch and eight inch diameter and gives you everything you need for quick and easy installation. 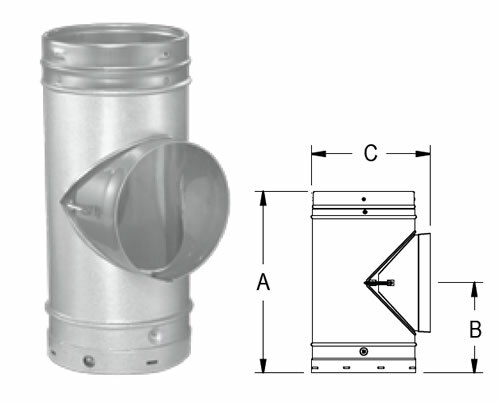 This Round Tee with a Removable Branch is made by DuraVent DuraLiner and will work with perfect compatibility with other DuraVent DuraLiner vent components.